Author and director, he collaborates with Accademia Perduta/Romagna Teatri also as a sculptor and set designer capable of transforming his works into poetic, narrative and spiritual plays. Marcello Chiarenza works in the field of symbolic representations and “drammaturgia della festa” (a form of theatrical representation were the audience is involved in an actual celebration: without the participation of the audience, there can be no performance). In his carrier, he has work as a sculptor, a set designer, workshop coordinator, author and theatrical director. He has curated installations, exhibitions, figurative paths both indoor and outdoor, plays in both theatres and en-plain-air. He has exhibited his works in prestigious contexts in Milan, Barcelona, London, Copenhagen, Ben Ari (Israel), Lille and many other cities. 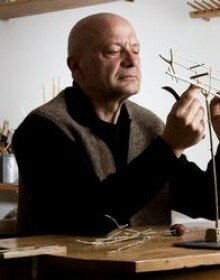 The most relevant figurative installations and shows are: “Vidi Aquam” (figurative installations, by E. Morricone, Villa Reale, Milan); “Santa Rosalia”, the most important Baroque festival of Europe, in front of the cathedral and the “Palazzo dei Normanni” in Palermo; “Pirati Italiani”, in Berlin. 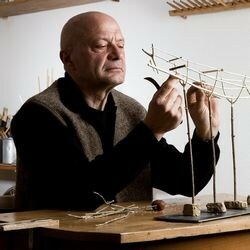 His most relevant works as director and scenographer are: “Giufà” (director M. Baliani); “Corto Maltese” (director G. Gallione; music P. Conte); “7 Conversazioni invisibili tra Marco Polo e KublaiKan" (set designer; director A. Bressanello; Consorzio per il Carnevale di Venezia); “Tom Thumb” (scripts, set designer and director; LyngoTheatre, London). 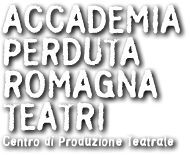 For Accademia Perduta/Romagna Teatri he has created set designs, and has directed various shows, such as “Hansel and Gretel”, “La storia di un soldato” (the story of a soldier), “Pollicino” (Tom Thumb), “Sotto la neve” (under the snow), “Jack e il fagiolo magico” (Jack and the Giant Bean Stalk).